One of the reasons that North Georgia remains such a popular destination for vacationeers around the country is the huge range of experiences we have. Lovely Helen and the surrounding areas truly have the best in natural experiences, handcrafted goods, and of course... food! When folks come to the the Helen area for a romantic getaway, their thoughts may naturally turn to Italian food, and north Georgia provides! When you come to visit Helen, wonderful Italian treats aren't far away, if you want something a little different from our Bavarian fare. So, we've put together a list of our favorite places in the area to get a pizza, lasagna, or just to enjoy some nice pasta alongside a fine, crisp local red wine. 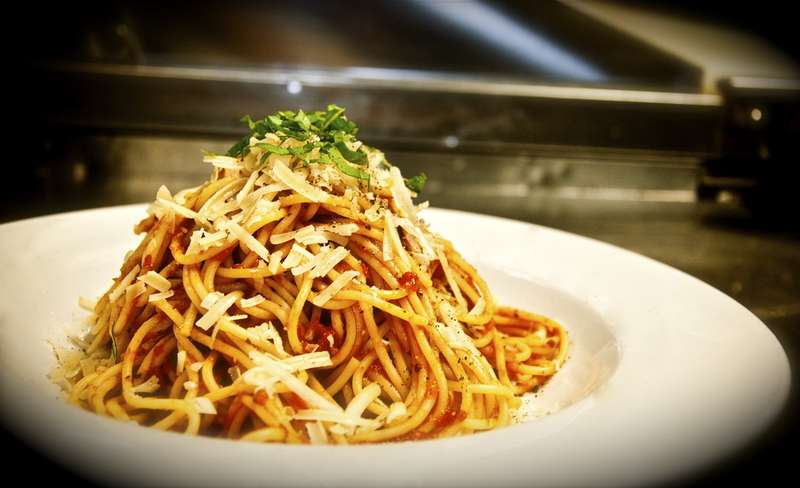 Located in nearby Dahlonega, the Piazza is easily one of the best visits in the area for Italian lovers! The Piazza makes most of their own pastas, including truly excellent homemade ravioli that's the envy of restaurants further south. If you try it, we suggest starting with their Vento bruschettas - melted goat cheese along with their own red onion marmalade. The combination of sweetness and bite is truly heavenly. And you know what else they have that other restaurants in Georgia don't? Their own farm. The great foods you get at the Piazza is largely locally-grown, organic, and sustainable. For a truly special evening of Italian dining, take them to Enrico's. Located over in Young Harris, Enrico's is widely known as one of the top date spots for locals, as well as being beloved by visitors from around the world. If the Piazza's focus is their homemade pastas, at Enrico's, it's their meat dishes. With full sized steaks, chicken, and genuine veal, Enrico's makes some of the best entrees you'll find anywhere in the Helen area! When paired with their intimate atmosphere and master-level wine list, you couldn't ask for a better dining experience. Our pick? It's hard to choose, but their Chicken Amaretto is nearly mindblowing. The cream sauce is based in armaretto, almonds, and peaches. It's one of their house specials, and you haven't had anything like it. And for finishers, try their tiramisu. It's exquisite. If pizza is your love, come to The Copper Pot! This diner features a range of entrees and excellent sandwiches, but their true draw is their genuine brick-oven pizza, baked fresh and hot like a pizza should be. 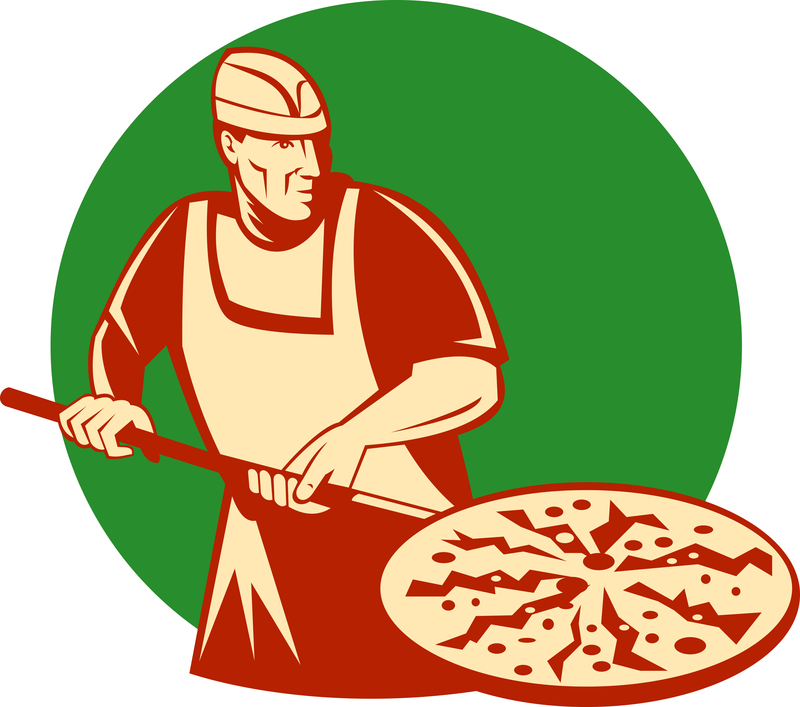 They've got a huge range of pizzas for every taste, from the standard to custom pies you'll only find at The Copper Pot. The cozy atmosphere at The Copper Pot makes it perfect for lunch or dinner, and its location in downtown Clarkesville is perfect for taking a break while you explore the area. Want A Really Romantic Dinner? Eat At Home In Your Own Luxury Cabin! When there's so much to do in and around the Helen area, there's no better way to end a day than in a genuine cabin in the woods. When you rent a Cedar Creek Luxury Cabin, you're getting the best of both worlds: Truly high-class furnishings and all the amenities nestled amongst the foothills of the southern Appalachians. Maybe you can't make your own pizza, but you do get a full-sized kitchen, with refrigerator, along with outdoor grilling and BBQ facilities! Given all the great fishing in the area, your dinner could even be your own fresh catch! You can't get that in Atlanta, but it can happen in Helen. You'll also get leather furniture, big beds, and even extras like a billiard table or outdoor hot tub. There truly is no better way to enjoy the beauty of Helen at night, and the sea of stars above, than relaxing in a hot tub. 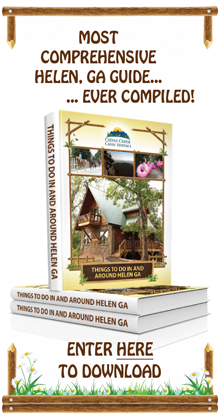 So if Helen is calling, we've got your home away from home!